Beginning students of quantum mechanics frequently experience difficulties separating essential underlying principles from the specific examples to which these principles have been historically applied. Nobel-Prize-winner Claude Cohen-Tannoudji and his colleagues have written this book to eliminate precisely these difficulties. Fourteen chapters provide a clarity of organization, careful attention to pedagogical details, and a wealth of topics and examples which make this work a textbook as well as a timeless reference, allowing to tailor courses to meet students' specific needs. Each chapter starts with a clear exposition of the problem which is then treated, and logically develops the physical and mathematical concept. These chapters emphasize the underlying principles of the material, undiluted by extensive references to applications and practical examples which are put into complementary sections. The book begins with a qualitative introduction to quantum mechanical ideas using simple optical analogies and continues with a systematic and thorough presentation of the mathematical tools and postulates of quantum mechanics as well as a discussion of their physical content. Applications follow, starting with the simplest ones like e.g. the harmonic oscillator, and becoming gradually more complicated (the hydrogen atom, approximation methods, etc.). The complementary sections each expand this basic knowledge, supplying a wide range of applications and related topics as well as detailed expositions of a large number of special problems and more advanced topics, integrated as an essential portion of the text. Complete, pedagogical, and beautiful. These volumes have it all! Now, they might seem disorganised at first, but once you read the "Introduction" and the "Directions for Use" page you will learn how to navigate the book. Don't be intimidated by the thickness of these two volumes; most of it is due to chapter complements, which are wholly optional. It is highly recommended that you have some previous experience with elementary quantum physics before hitting Cohen-Tannoudji. Eisber and Resnik or French and Taylor (MIT series) are both good starts. After years of searching for a really good book on non-relativistic quantum mechanics, I found it in this book. The beginning student can easily understand it and it's comprehensiveness will appeal to the more advanced student. It's use of the Dirac notation makes for a clean and concise treatment. The book is FAR better than most other quantum mechanics books found in university libraries, in my opinion. Cohen is great, but Wiley & Sons could have done better. Most of what ought to have been said about this book has been said in previous reviews. It is missing a few crucial topics such as group theory, Lie algebras, and the Bell inequality, but it is extremely well-written, and the treatment of topics which are contained is nothing short of thorough. Reading this book is an illuminating experience. Wiley & Sons (the publisher) fall short in their treatment of the book. This may read like a modern classic, but it is put together like a telephone book. The paper binding is extremely flimsy (given the size of the book, that is to be expected), and the covers are of such low quality that not only do they scuff, crease, and dent easily, but they stick to surfaces when only a bit of dampness is present, and are impossible to remove without damage. For the price, one ought to expect more. A book like this deserves to be in a rounded, full-cloth, non-acid edition. At the very least, they could have put it in a textbook binding with sturdy cardboard covers. Timeless references ought to take more abuse than the Yellow Pages. This is the best book on QM that any person can lay his hands on,and it is a shame it is not introduced as a first cource in QM for every science student interested in the subject.Once you go through the book,you may even be able to solve all classical problems quantum mechanically!! complete and elaborate discussion of all mathematical tricks and tools needed in chapter 2,clear layout of the postulates of QM in chapter 3 so that one faces no conceptual difficulty in the remainder of the book,angular momentum addition and clebsch-Gordan coeeffecient calculation in CH.10,electromagnetic interaction with matter in chapter 13(complement),clearly explained probabaility calculation concepts for identical particles ,Ch14.,and a understandable tratment of scattering ,partial traces and the wigner-eckart theorm with applications. I would recommend this book for any one who wishes to learn QM without laziness(the book is tiringly comprised of 2 volumes)before touching any other book in this subject(others an only lead you astray).the book is self suffecient in all respects and doesnt make a single step jump(no wonder its shear volume). It is a book which every student who needs to master QM sometime should thoroughly read and solve.It is a shame that it is not taught in the very first course of QM that any student comes across in his academic life,since this book clears the very fundamental so much that when you are done with it ,you can even solve any classical problem quantum mechanically yourself. The second chapter clearly lays down all fundamentalmathematical tricks and tools required to grasp the subject,and chapter 3 has the basic QM postulates so clearly and elaborately explained that one has no problem in understanding the application of quantum mechanical postulates to the problems in the later chapters. The basic plus points which other popular books lack are,elaborate treatment of angular momentum and Clebsch-Gordan coeffetients,partial traces,scattering,decay of a descrete state resonantly coupled to a continuum of final states and the probabilty calculations when particles are identical. it is a self consistent book,with exercises which clear the concepts (though not enough always).a major amount of worked out problems with clear explanations for all steps. it is a book which covers a great deal with no step jumps at all,no wonder it has two tiring fat volumes. I repeat,a must for any science student willing to learn QM,before he touches any other book of the subject(the rest can only lead you astray). The lecturer of our undergraduate Mathematical Methods for Physics course said that he recommends Arfken's book because it will be useful also later as a reference book. Hearing those words, I could not help but to think "this is one of *those* books". And indeed, although Arfken's and Weber's book covers quite a wide range of mathematics, it does so by being very concise, e.g. there is usually only one example per topic. This is one example of why it is not a good textbook. Not following Arfken's course, I will give another example: there are no answers and no solutions for any of the problems, making it very undesirable from the viewpoint of the person who cannot attend all the lectures. Finally, text itself is quite concise, and often it stops at telling the things rather than explaining them also. I guess I have to admit that I am not one of the excellent students mentioned by a reviewer, for I liked Kreyszig's Advanced Engineering Mathematics much more. As a contrast to Arfken's book, it offered many examples and helped to understand what the thing was all about. Unfortunately, it does not cover nearly all of the topics covered by Mathematical Methods for Physicists. 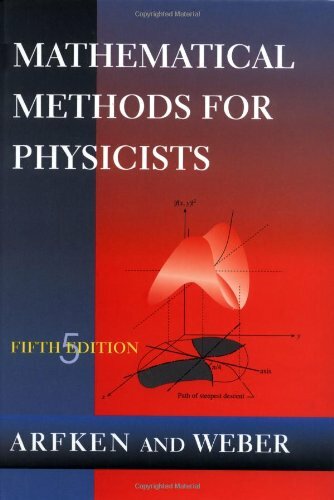 If Mathematical Methods for Physicists is going to be your first introductory text to these topics and if you are not supported by very good lectures I can only say that may God have mercy on your soul. Needs elaboration: Add 5 pages per page. I am convinced that the author of this book has made the assumption that the reader has had pretty significant exposure to most of this already. Therefore, this is nothing more than a "all in once place" reference on math methods for physicists. The reason for the diverse range of opinions on this book is due to the various backgrounds of students. For most physic undergrads now taking a grad level math methods course, our exposure to differential eqns, complex functions, tensors, group theory, etc. is superficial. Here is a good entrepreneurial idea for an accomplished physicist that can relate to us mere mortals. For each page that Arfken has provided on a topic, ELABORATE (add 5 pages per page to it and now you have a useful textbook that every graduate student in physics should have). It would save us a fortune in buying the many additional supplemental texts required if you are stuck with Arfken. 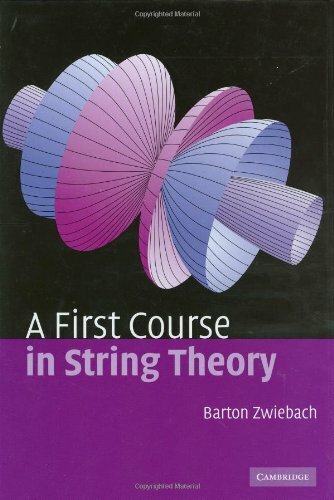 I used this book in a Math Methods 1st year Graduate Physics course, and I dont think I really learned anything from it. It doesnt do well at TEACHING you anything, you'll have to buy another book with examples or find them somewhere, and that itself can be difficult. I found myself referring to Mary Boas' book for a few examples if I wanted to learn anything, but when you get to Group Theory you'll end up lost because the professor will run right over the material and textbooks on that subject arent that great. If i'm looking for an equation or a mathematical rule, this book is great. Ive used it for Quantum and Jackson E&M quite a bit. I have had the misfortune to teach from several editions of this pathetic textbook. The later printings of the 3d edition, by Arfken alone, were quite free of mistakes and of typos. But the early printings of the 5th edition by Arfken and Weber are loaded with typos and have some errors. Most of these typos are in equations that were correct in the 3d edition. My students have had a hard time learning from this book. this is a typical Elsevier product: inferior and expensive. I noticed that most student reviews seemed to disparage this book as a textbook, so I am writing this to provide an alternative veiwpoint. 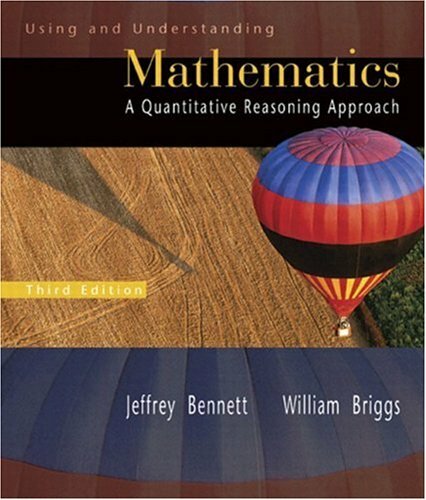 My intermediate Math Methods class used this book and I have not yet enountered a math problem in any of my grad classes that I couldn't use this book as an aide to solve. The book is clear yet concise, which allows for a large breadth of material to be covered in one semester effectively. Yes, some material is not covered with great depth, but I think that Mathematical Methods Books by design are not meant to be thourough, mathematically rigourous books but rather books that will present the method of solving, if not the exact solution, of most problems one might encounter in the physical sciences. I think that this book is excellent for self-study, and does provide a significant level of rigour. I believe that the authors do a significantly good job defining their terms and making sure the reader is "with them." For example, just a few lines up from Equation 5.36 on page 226, in fact immediately after the start of Section 5.3.1, the authors make the comment, "For positive integers x and N, x < N, with no common factors,...". Now I would assume that Equation 5.36 would reference these same variables, and thus the restriction would still apply. This is admittedly rather a specific example, but it illustrates the point: the authors have a well-developed sense of logical flow, and such flow makes it much easier to follow what is rather a difficult subject. The subject is difficult because it spans such a huge variety of disciplines. My advice is to take courses in mathematics: linear algebra (easily the most important of all the classes), abstract algebra, discrete mathematics, advanced calculus, number theory; in physics: classical mechanics, quantum mechanics, electricity and magnetism; electrical engineering: linear circuits, digital logic, microprocessors; and in computer science: algorithms and data structures, cryptography. Then I think you would have an adequate background to understand this top-notch, advanced book. The Reader Review by Julian Miller is INCORRECT! Dr. Julian Miller is either an idiot and obviously didn't read the book carefully at all. On page 226 just above the equation Miller talks about it says "For positive integers x and N, x < N, with no common factors, ..." and goes on to clearly define EVERYTHING. I read this book and I disagree 100% with that review and have just proved to you that the reviewer was completely wrong and just didn't read the book carefully on page 226. I had no trouble understanding the topics in this book and don't have PhD in anything, just a Bachelors in Physics and took a couple graduate courses. Everything was very clear in this book to me and I think it is a great book. Don't believe what that reviewers said, if he/she had just read the book more carefully he/she would notice that everything is defined. I bet that reviewer wasn't reading the book carefully at all and was just skipping sections and jumping around from page to page, skimming over certain paragraphs. It's a great book and it's the first one I encountered that was helpful enough to allow me to really make sense of this subject. 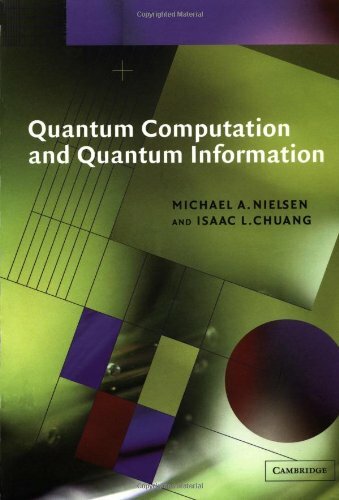 This is *the* book to learn Quantum Information/Computation theory from. I tried others but nothing made much sense until I read and worked through this book, then I went back to the other books and everything made sense to me. Someone who has been doing research in this area for many years probably cannot use this book for much other than an occasional reference, but for those who want to learn the subject it is a GREAT place to start. I have over 3 dozen books on the subject and this is by far the clearest. I believe this book to be extremely well written and much clearer than other texts. In addition, the circuit notation used in the text is BY far easier than what is found in a text on Quantum Physics. Also, the way things are stated about general Quantum Theory is so much kinder and more logical than in any other text I have read, both saying the same things only this text explains this painful subject in a nice clean way. In any case, I believe this to be the best book on the subject. I also recommend Explorations in Quantum Computing (Williams, Clearwater), it is useful since it has many Mathematica Workbooks to simulate Quantum Circuits and that related. Really you need to read many books to understand this subject, but Nielsen and Chuang make a good foundation. I do agree that this book could be better, as could all texts, but being the best book in a very complicated new area of study is worthy of 5 stars. Simply, this is the best book on the subject that I have seen. If you are trying to teach yourself this material from any book chances are you will fail, but if you must I would get this one first and then the Williams book. Regards. This book covers quantum information theory at a level that can be understood by someone who has only had an introductory course in quantum mechanics and the same in basic computability theory. While this still rules out most of the general public, this is an excellent book for anyone seriously thinking of entering the field. The first third of the book reviews the required basics of quantum mechanics, computability, and information theory, and outlines where QIT differs from the classical theory. The rest of the book goes into more specifics. I used this book for a class I took in college. It was very helpful. Highlights of the book include examples, language, and ease of understanding. I would recommend this book to anyone taking a class that needs it, or even a person just interested in furthering their basic math knowledge. Check this one out! Extremely User friendly text, be sure you are getting 2nd edition and not first, they are not the same!!! Uses real life examples to explain various mathematical models, a book you'll want to hold on to for future use. There are no numbers in this math book. What kind of math book has no numbers?? WoW! A math book for the mathmatically impaired!!! In my school, we do not have a mathematical methods course for science, so I decided to take on a math minor to take all the classes neccesary to do physics "right." This included a class on ODEs, Fourier Series & PDEs, Linear Algebra, and Complex Variables. These classes, although helpful, cover a lot of stuff that is not quite useful for understanding physics concepts, often undermining or dampening the stuff that is actually applicable. It is not only well written, it has lots of worked examples! It is not as comprehensive as some "standards" such as Arfkin or Butkov, but it is much more useful for mastering the basics. No physics student should be without this book. I'm a physics undergraduate. Out of all my books on math, this is far and away the most comprehensive and useful book! It has supplanted my other, thicker books and is the one thing I turn to whenever I need to refresh myself on a math method. It covers practically every useful math technique for physics, and never assumes that you're a genius (unlike other books). Each step is explained in clear, refreshing language and in a very logical order. From Laplacian transforms to Fourier series to ODEs, each subject is introduced so well that, even when I've missed a lecture, I can understand the topic just from reading it. Highly recommended and worth the price, this is one book physics undergraduates should have. The only thing else needed with it is the solutions manual. A book that has everything. This book has a bit of everything from Linear Algebra, Calculus, Analysis, Probability and Statistics, ODE, PDE, Transforms just to name a few. 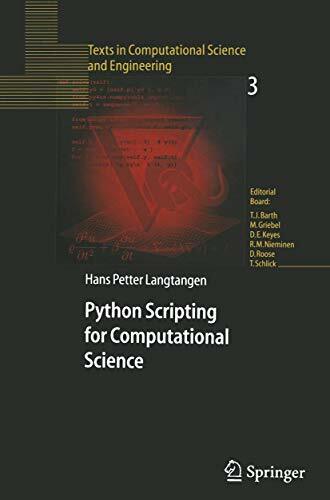 If you get a chance to study everything from this book, you will probably learn more from this book than all your undergraduate math courses combined. Some concepts on this book may be difficult to understand due to the lack of in depth coverage. But I guess the main intention of this book is to focus on the applied side and cover as much material that is relevant to physics and engineering as possible and not go into much detail on the theory side. If you are a graduate student in physics or engineering and want to buy this book for reference, it will be a good start for the first year courses but won't help you much after that. Readibility of this book is excellent. You will understand most of the concepts and examples presented. Bottomline: This is a must have book for engineers and physicists. What we have been expecting!!! I read this book before it was published; I downloaded it from a WU website. It has been of immense use to me in my career, it is a very practical book. Other reviews that say Dr. Jaynes' ideas are at odds with traditional measure theoretic probability are mistaken. Dr. Jaynes is a true Baysian. A Baysian is one who believes that probabilities do not model serendipity in nature, but do model subjective certainty. The Bayesian concept of probability is epistomological, i.e. the uncertainty is in our minds, not in objective reality. Traditional probability takes the reverse view: probabilities model unpredictable events, they are a model of objective reality like any science, i.e. probabilities are ontological. The trick is to realize the two are not mutually exclusive! There can be true ontological randomness in nature, and our minds can have uncertainty from incomplete knowledge as well. Probability theory as a branch of mathematics makes no claim what it models. The beauty is that probabiltity distributions integrate the two seamlessly. Thus, it is perfectly valid to put a distribution on an unknown parameter, epistomologically unknown, and derive that distribution from an experiment with, presumably, ontological randomness. Dr. Jaynes' book is well worth reading for the many case studies he presents. His background as a physicist is key to understanding some of the esoteric philisophical points. Reading this book is an exhilarating intellectual adventure. I found that it shed light on many mysteries and answered questions that had long troubled me. It contains the clearest exposition of the fundamentals of probability theory that I have ever encountered, and its chatty style is a pleasure to read. Jaynes the teacher collaborates fully with Jaynes the scientist in this book, and at times you feel as if the author is standing before you at the blackboard, chalk in hand, giving you a private lesson. 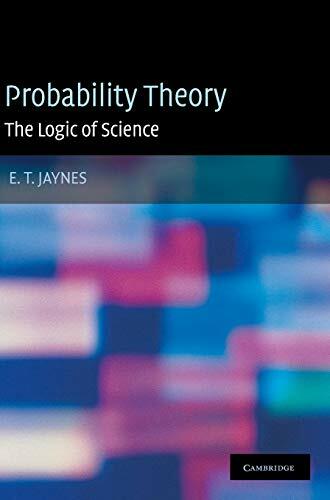 Jaynes's advice on avoiding errors in the application of probability theory -- reinforced in many examples throughout the book -- is by itself well worth the price of the book. If you deal at all with probability theory, statistics, data analysis, pattern recognition, automated diagnosis -- in short, any form of reasoning from inconclusive or uncertain information -- you need to read this book. It will give you new perspectives on these problems. The downside to the book is that Jaynes died before he had a chance to finish it, and the editor, although capable and qualified to fill in the missing pieces, was understandably unwilling to inject himself into Jaynes's book. One result is that the quality of exposition suffers in some of the later chapters; furthermore, the author is not in a position to issue errata to correct various minor errors. Volunteer efforts are underway to remedy these problems -- those who buy the book may want to visit the "Unofficial Errata and Commentary" website for it, or check out the etjaynesstudy mailing list at Yahoo groups. is problematic. A real diamond. This book has been on the web in unfinished form for a number of years and has shaped my scientific thinking more than any other book. I believe it constitutes one of the most important scientific texts of the last hundred years. It convincingly shows that "statistics", "statistical inference", "Bayesian inference", "probability theory", "maximum entropy methods" , and "statistical mechanics" are all parts of a large coherent theory that is the unique consistent extension of logic to propositions that have degrees of plausibility attached to them. This is already a theoretical accomplishment of epic proportions. But in addition, the book shows how one actually solves real world problems within this frame work, and in doing so shows what a vastly wider array of problems is addressable within this frame work than in any of the forementioned particular fields. If you work in any field where on needs to "reason with incomplete information" this book is invaluable. As others have already mentioned, Jaynes never finished this book. The editor decided to "fill in" the missing parts by putting excercises that, when finished by the reader, provide what (so the editor guesses) Jaynes left out. I find this solution a bit disappointing. The excercises don't take away the impression that holes are left in the text. It would have been better if the editor had written the missing parts and then printed those in different font so as to indicate that these parts were not written by Jaynes. Better still would have been if the editor had invited researchers that are intimately familiar with Jaynes' work and the topic of each of the missing pieces to submit text for the missing pieces. The editor could then have chosen from these to provide a "best guess" for what Jaynes might have written. Finally, there is the issue of Jaynes' writing style. This is of course largely a matter of taste. I personally like his writing style very much because it is clear, and not as stifly formal as most science texts. However, some readers may find his style too belligerent and polemic. To "pure" mathematicians, probability theory is measure theory in spaces of measure 1. To the extent to which you remain a "pure" mathematician, this book will be incomprehensible to you. To frequentist statisticians, probability theory is the study of relative frequencies or of proportions of a population; those are "probabilities". To Bayesian statisticians, probability theory is the study of degrees of belief. Bayesians may assign probability 1/2 to the proposition that there was life on Mars a billion years ago; frequentists will not do that because they cannot say that there was life on Mars a billion years ago in precisely half of all cases -- there are no such "cases". To _subjective_ Bayesians, probability theory is about subjective degrees of belief. A subjective degree of belief is merely how sure you happen to be. "Noninformative" _objective_ Bayesians assign "noninformative" probability distributions when they deal with uncertain propositions or uncertain quantities, and replace them with "informative" distributions only when they update them because of "data". "Data", in this sense, consists of the outcomes of random experiments. "Informative" _objective_ Bayesians -- a rare species -- ask what degree of belief in an uncertain proposition is logically necessitated by whatever information one has, and they don't necessarily require that information to consist of outcomes of random experiments. Jaynes is an "informative" objective Bayesian. This book is his defense of that position and his account of how it is to be used. "Pure" mathematicians will not find that this book resembles that branch of "pure" mathematics that they call probability theory. Jaynes rails against those he disagrees with at great length. Often he is right. But often he simply misunderstands them. For example, writing in the 1990s, he said that pure mathematicians reject the use of Dirac's delta function and its derivatives, and related topics. That is nonsense; the delta function has long been considered highly respectable, and required material in the graduate curriculum. Unfortunately Jaynes's misunderstandings may cause some others to misunderstand him when he is right. Statisticians are more informed than "pure" mathematicians and will disagree with Jaynes for better reasons. _Some_ statisticians will agree with him. Ever since the Irish mathematician William Rowan Hamilton introduced quaternions in the nineteenth century--a feat he celebrated by carving the founding equations into a stone bridge--mathematicians and engineers have been fascinated by these mathematical objects. Today, they are used in applications as various as describing the geometry of spacetime, guiding the Space Shuttle, and developing computer applications in virtual reality. In this book, J. 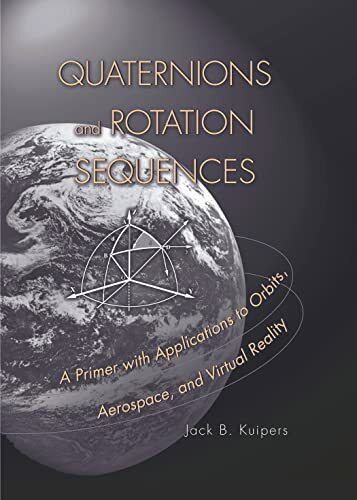 B. Kuipers introduces quaternions for scientists and engineers who have not encountered them before and shows how they can be used in a variety of practical situations. My graduate school work was in theoretical quantum mechanics, and was especially concentrated in the group properties of rotations. I can honestly say that I would have been twice as effective if I had this reference available then. Kuiper does an outstanding job of pulling together the traditional matrix-based approach to describing rotations with the less-frequently encountered quaternion approach. In doing so, he clearly shows the benefits of the quaternion algebra, especially for computer systems modeling rigid body rotations and virtual worlds. The exposition is clear, concise, and aimed at the practitioner rather than the theoretician. The examples are taken from classical engineering problems -- a refreshing change from the quantum-mechanical problems I was used to from previous works on the subject. Despite the practical foocus, though, there is plenty of material here for those more interested in understanding the minutia of the SO(3) symmetry group. And unlike most work in this field, he doesn't stop with algebra, but includes the calculus of rotation matrices and quaternions using material on kinematics and dynamics of rigid bodies, celestial mechanics, and rotating reference frames. I give the book my highest recommendation. It should be considered an essential reference work for anyone who encounters rotational problems with any frequency. The book delivers exactly what it promises, an in-depth study of rotations using quaternions. However, if you are looking for a complete description of how to use quaternions, it is missing a lot. Specifically it doesn't explain anything about interpolating rotations, which is absolutely required in the field of animation. After reading this book, I would recommend finding a copy of Ken Shoemake's article "Animating Rotation with Quaternion Curves", which explains slerp and squad, there are many references available on the Internet. The Flipcode.com site has some code by Tim Sweeney (lead programmer for Unreal) under "Vector Math and Quaternions", which explains how to use quaternion logarithms to handles higher-order (Hermite, Bezier, TCB) interpolations. It could be argued that this is out of the scope of the book, but I suspect many people interested in buying this book will need this information. This is the main way quaternions are used in game programming, for example. Still, this book gives you a good starting point and its explanation of Euler angles and conversion to/from is about the best I have ever read. The derivation of quaternions as an extension of complex numbers is quite easy to follow and has a very easy-going style, which still giving a firm mathematical basis. 371, ISBN 0 691 10298 8.
although they also include these concepts. are discussed with great thoroughness in the early chapters. topology, quantum mechanics, and particle physics. and wide margins with explanatory notes where appropriate. physics, engineering or computer science. Is it possible to recommend a book and still say that it needs revision? It needs revision precisely because it is a good book and may well find more readers. The book does what no other does as far as I know; it introduces quaternions in elementary terms and shows some, at least, of how useful the concept is. The topic is neglected in textbooks for students at this level and probably even more generally. And yet I do think that the author could revise this book substantially and produce a better one. I was very disappointed when I started reading the book and immediately noticed a number of errors in the formulae. These were most likely typos but still can be confusing at times. As the other reviewers mentioned, the book has a very interesting, and in my opinion very good, teaching sytle, but don't take all the formulae by heart if you are going to use it as a reference book. This is truly a great book for any one who is interested in not just physics, but physical reality. Although the ideas expressed therein have a long history and are by no means as uniquely those of its authors as were Albert Einstein's in his day, I believe that they will have comparable lasting value. Moreover the synthesis presented in this book, which builds pre-eminently on the work of Hestenes, is absolutely superb. Interested readers need not take my word for these claims, but are invited to prove it to themselves. (1) A replacement for linear/matrix/tensor algebra (on the contrary, it is a very nice complement to these formalisms). (2) Identical, or even very close, to Emil Artin's earlier excellent book on bilinear forms with the title "Geometric Algebra". (3) Another name for the enormous field "algebraic geometry" (it is indeed appropriate that the word stemming from "geometry" comes first in "geometric algebra"). (4) Just another reformulation of complex / quaternion / octonian analysis; for it connects all these purely algebraic objects, and many generalizations thereof, to Felix Klein's Erlangen Programme and Sophus Lie's theory of continuous groups. (5) The ultimate theory of everything (although it probably will eventually be found to have something to do with it). Geometric algebra IS a practical and natural (canonical) tool for formulating physical and mathematical problems in homogeneous spaces in a fully covariant fashion. But more importantly, you do not need to understand all those words in order to benefit from it, and this book is an excellent place for physicists of all stripes to start. The quality and importance of this book could hardly be overstated. Geometric algebra might casually be considered the "correct" generalization of linear algebra. By considering, for a start, directed line segments, the linear algebra courses presently taught in some high schools and all universities achieve miracles. Although viewed by a few of the slower students as merely unpleasant bookkeeping systems, linear algebra derives its power from allowing algebraic manipulation of sophisticated aggregate objects, namely vectors. The benefits are not just computational, but stem more importantly from a more powerful and more unified, although slightly more abstract point of view than a student had before studying. Geometric algebra is all that and much more. By extending consideration from directed line segments to the inclusion of direct plane segments, directed elements of three space, etc., an extremely flexible and elegant mathematical tool arises. It allows a deeper, quicker, and more concise treatment of essentially all of modern differential geometry. Its applications throughout physics are at once simplifications of ordinary matrix treatments and occasions to allow much greater insight. Geometric algebra is a great theory, one of highest importance. It will, undoubtedly, find a dominant place in our mathematics curriculum at the highest speed allowed by our educational systems (the highest speed being actually quite slow). This book is an especially good place to begin study. It starts from the most elementary principles, and exposes the material with very thoughtful, clear presentation. 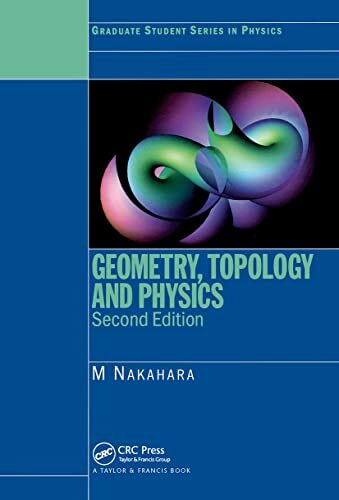 The economy and elegance of the geometric algebra itself allows this one substantial but not enormous book to reveal great insights into many branches of study, from differential geometry and its applications to gravity theory to quantum mechanics and classical mechanics. This book introduces the reader to the basic mathematical structures of theoretical physics: mainly Quantum Mechanics, Electromagnetic Theory, And Classical Mechanics. I used this at UC San Diego for a year long graduate course on Mathematical methods in physics and engineering. If one has the time, there is really a lot to be gained by carefully studying this book. A big part of the book is geared toward developing in detail the mathematics of the Quantum Theory. This is a good thing because in my experience most QM books are too eager to "get to the physics". It is true that you can get by with a superficial understanding of functional analysis and still do QM, but this book will give you an immensely deeper understanding of the underlying structure of the theory. In particular, the treatment of Green's functions and integral equations is good. There is chapter on Group Theory and it's uses in QM. Also is a chapter on Complex analysis, although it is a wise idea to read a book entirely devoted to this subject. Overall, I like this book very much. 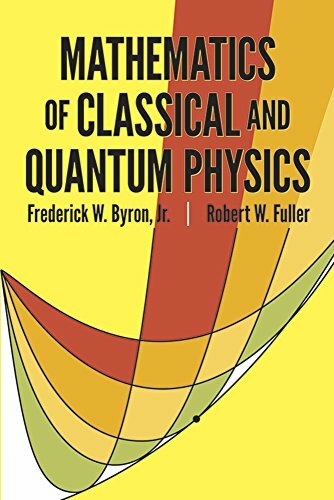 The Byron & Fuller provides a serious introduction in mathematics of classical and quantum physics. 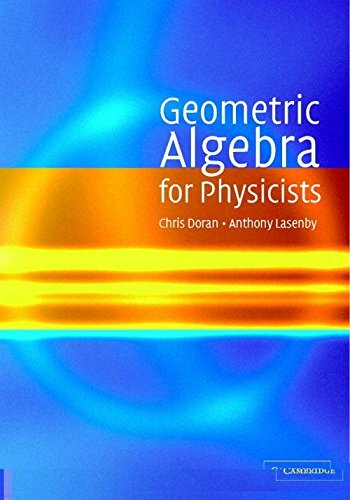 This book is designed to complement graduate-level physics texts and one of its goal is to introduce the physicist to the language and style of mathematics. Consequently, this book may be really useful to people with strong skills in physics and maths. No doubt that they will have fun reading the theory of vector spaces. For the others, just like me, not really specialized in physics and maths, but maybe just curious, this book can bring you a lot of fun too. It reminds you of what you may have studied a few years ago... And more than that, you cover with this book other fields of mathematics that are not taught to non specialized students like Hilbert space, quantum physics, theory of analytic functions, Green's functions and integral equations. To conclude, if you're curious about mathematics and physics, you should buy this book. If you're good at maths and physics, you should already own this book. And now, with this special price, do the maths! If you're tired of reading descriptive physics like Paul Davies' books and want to be able to read the original papers and follow the math, this is the book. It presumes a strong undergraduate math background in some areas but the explanations are clear and the proofs are easy to follow. If you want to read quantum physics, the chapters on vectors and operators will give you the math foundations. This book is not, and I repeat, IS NOT for the inexperienced. 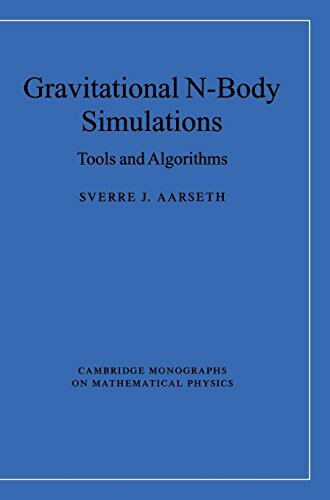 This book is a GRADUATE LEVEL TEXT on mathematical physics. If you are an undergraduate student taking a physics class, this book will be of no use to you. I recommend that anyone interested in purchasing this book have a somewhat decent amount of mathematical background. I personally recommend Calculus I-IV, Advanced Calculus and Linear Algebra. If, though, you have this background, then this book is may just be for you. It is concise, to the point and presents a clear and well written discussion of mathematical physics. I just felt that before you dive, head first, into the world of mathematical physics, somebody needed to warn you about what you were getting yourself into. This book is how I bootstrapped my way into being a molecular simulationist. Anyone who can program in some language can get started writing simple routines for the basic MD and MC simulations. I do Monte Carlo simulations at Princeton, and found this book to be the most helpful available for getting my research started. It is my most common reference, and is used extensively in writing background information for various research documents. However, after you have written your first few codes, you will pass the level of this book and need to move on. I use it less now than I did my first year. Every student in my group (Panagiotopoulos) has this book I think. And like me, they started with it, but moved on. The title of the book is overly ambitious and falls short on its promises. 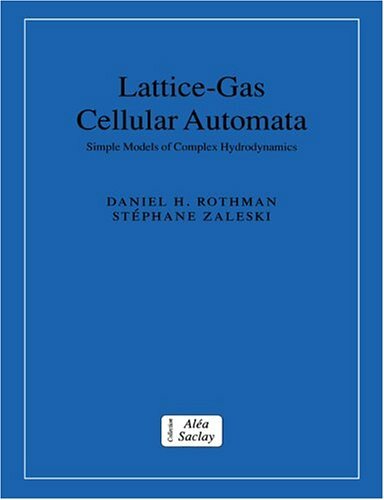 The book is a good introduction to Molecular Mechanics (MM), Molecular Dynamics (MD) and Monte Carlo (MC) methods, with detailed descriptions of the methods used and FORTRAN (pseudo)code, covering from the basics to some middle-level and some advanced algorithms. But it does NOT cover all the fields of Molecular Modelling, just the three mentioned (MM, MD and MC), there's no coverage of quantum mechanics methods, nor QSAR or other technologies. And, while it described the algorithms, I can't think of it going all the way through up to building applications. For this, Rapaport's makes a better job, and for a general intro to Molecular Modelling, Grant & Richards' Computational Chemistry is more comprehensive (albeit at a more superficial level). Nor does it provide much detail on the methods used in modelling biological macromolecules, an increasing application field for the methods discussed in the book. with sample code, detailed descriptions and plenty of references to specialized articles, texts and resources. 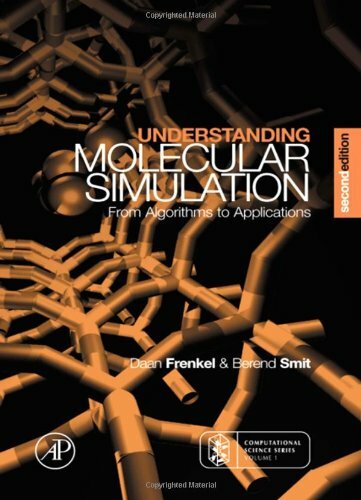 This book is an excellent introduction to the field of molecular dynamics simulation. It is easy to follow for a scientist entering the field and at the same time contains overview of most critical topics in MD simulation. The book's major goal is to describe how to simulate liquids, however it also mentions briefly the methods for gas and liquid simulations. List of references for further readings is very useful and complete. A great book for begginers. An insightful, revealing history of the magical mathematics that transformed our world. At a summer tea party in Cambridge, England, a guest states that tea poured into milk tastes different from milk poured into tea. Her notion is shouted down by the scientific minds of the group. But one man, Ronald Fisher, proposes to scientifically test the hypothesis. There is no better person to conduct such an experiment, for Fisher is a pioneer in the field of statistics. The Lady Tasting Tea spotlights not only Fisher's theories but also the revolutionary ideas of dozens of men and women which affect our modern everyday lives. Writing with verve and wit, David Salsburg traces breakthroughs ranging from the rise and fall of Karl Pearson's theories to the methods of quality control that rebuilt postwar Japan's economy, including a pivotal early study on the capacity of a small beer cask at the Guinness brewing factory. Brimming with intriguing tidbits and colorful characters, The Lady Tasting Tea salutes the spirit of those who dared to look at the world in a new way. The intense media attention given to the proof of Fermat's Last Theorem a few years ago was followed by the publication of many books on mathematics for non-mathematicians. Dr. Salsburg's book is arguably among the best of them. It has many interesting and illuminating anecdotes about the most influential statisticians in the early 20th century, which is when the Statistical Revolution (as aptly called by the author) took place. Important developments are clearly explained in their historical context, and their implications for current (i.e., 21st century) scientific research are given. The student of Statistics will get to know the people behind the names mentioned in the textbooks. The book is non-technical and written for the general public, but as a statistician myself I can say that I was no less than delighted reading it. In fact, two chapters (on probit and sample selection) deal with concepts I'm using in an epidemiological manuscript! 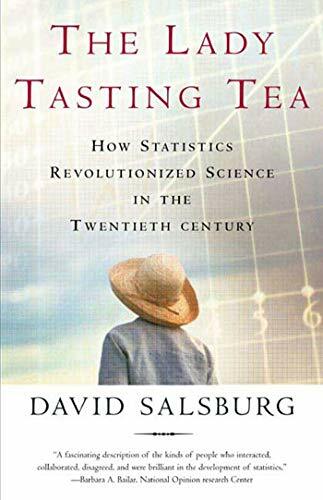 The Lady Tasting Tea is a new book by David Salsburg (a Ph.D. mathematical statistician, who recently retired from Pfizer Pharmaceuticals in Connecticut). The title of the book is taken from the famous example that R. A. Fisher used in his book "The Design of Experiments" to express the ideas and principles of statistical design to answer research questions. The subtitle "How Statistics Revolutionized Science in the Twentieth Century" really tells what the book is about. The author relates the statistical developments of the 20th Century through descriptions of the famous statisticians and the problems they studied. The author conveys this from the perspective of a statistician with good theoretical training and much experience in academia and industry. He is a fellow of the American Statistical Association and a retired Senior Research Fellow from Pfizer has published three technical books and over 50 journal articles and has taught statistics at various universities including the Harvard School of Public Health, the University of Connecticut and the University of Pennsylvania. This book is written in layman's terms and is intended for scientists and medical researchers as well as for statistician who are interested in the history of statistics. It just was published in early 2001. On the back-cover there are glowing words of praise from the epidemiologist Alvan Feinstein and from statisticians Barbara Bailar and Brad Efron. After reading their comments I decided to buy it and I found it difficult to put down. Salsburg has met and interacted with many of the statisticians in the book and provides an interesting perspective and discussion of most of the important topics including those that head the agenda of the computer age and the 21st century. He discusses the life and work of many famous statisticians including Francis Galton, Karl Pearson, Egon Pearson, Jerzy Neyman, Abraham Wald, John Tukey, E. J. G. Pitman, Ed Deming, R. A. Fisher, George Box, David Cox, Gertrude Cox, Emil Gumbel, L. H. C. Tippett, Stella Cunliffe, Florence Nightingale David, William Sealy Gosset, Frank Wilcoxon, I. J. Good, Harold Hotelling, Morris Hansen, William Cochran, Persi Diaconis, Brad Efron, Paul Levy, Jerry Cornfield, Samuel Wilks, Andrei Kolmogorov, Guido Castelnuovo, Francesco Cantelli and Chester Bliss. Many other probabilists and statisticians are also mentioned including David Blackwell, Joseph Berkson, Herman Chernoff, Stephen Fienberg, William Madow, Nathan Mantel, Odd Aalen, Fred Mosteller, Jimmie Savage, Evelyn Fix, William Feller, Bruno deFinetti, Richard Savage, Erich Lehmann (first name mispelled), Corrado Gini, G. U. Yule, Manny Parzen, Walter Shewhart, Stephen Stigler, Nancy Mann, S. N. Roy, C. R. Rao, P. C. Mahalanobis, N. V. Smirnov, Jaroslav Hajek and Don Rubin among others. The final chapter "The Idol with Feet of Clay" is philosophical in nature but deals with the important fact that in spite of the widespread and valuable use of the statistical methodology that was primarily created in the past century, the foundations of statistical inference and probability are still on shaky ground. I think there is a lot of important information in this book that relates to pharmaceutical trials, including the important discussion of intention to treat, the role of epidemiology (especially retrospective case-control studies and observational studies), use of martingale methods in survival analysis, exploratory data analysis, p-values, Bayesian models, non-parametric methods, bootstrap, hypothesis tests and confidence intervals. This relates very much to my current work but the topics discussed touch all areas of science including, engineering in aerospace and manufacturing, agricultural studies, general medical research, astronomy, physics, chemistry, government (Department of Labor, Department of Commerce, Department of Energy etc. ), educational testing, marketing and economics. I think this is a great book for MDs, medical researchers and clinicians too! It will be a good book to read for anyone involved in scientific endeavors. As a statistician I find a great deal of value in reviewing the key ideas and philosophy of the great statisticians of the 20th Century. I also have gained new insight from Salsburg. He has given these topics a great deal of thought and has written eloquently about them. I have learned about some people that I knew nothing about like Stella Cunliffe and Guido Castelnuovo. It is also touching for me to hear about the work of my Stanford teachers, Persi Diaconis and Brad Efron and other statisticians that I have met or found influential. These personalities and many other lesser-known statisticians have influenced the field of statistics. The book includes a timeline that provides a list in chronological order of important events and the associated personalities in the history of statistics. It starts with the birth of Karl Pearson in 1857 and ends with the death of John Tukey in 2000. Salsburg also provides a nice bibliography that starts with an annotated section on books and papers accessible to readers who may not have strong mathematical training. The rest of the bibliography is subdivided as follows: (1) Collected works of prominent statisticians, (2)obituaries, reminiscences, and published conversations and (3) other books and article that were mentioned in this book. The book provides interesting reading for both statisticians and non-statisticians. What happened to Frank P. Ramsey?J M Keynes? Salsburg(S) does an excellent job discussing the historical development of the field of statistics in the 20th century.He has a way of writing that blends current statistical theory with the development of statistics over time from a historical perspective with the individuals who made it all happen,such as Neyman-Pearson and Sir Ronald Fisher.In this book he is close to Ian Hacking in the manner in which he weaves his story.This reviewer has a few quibbles.First,in S's discussion of the personalist(subjectivist)theory of probability,only de Finetti and Savage are covered.Since Frank Ramsey's 1922 and 1926 contributions to the subjective theory of probability,unfortunately combined with error filled critiques of John Maynard Keynes's logical theory of probability,were published BEFORE the work of de Finetti and Savage,he definitely deserved to have a prominent place in any book dealing with the history of probability and statistics.Second,there are a number of errors made in the all to brief discussion of Keynes and his logical theory of probability in his 1921 book,A Treatise on Probability(TP).Contrary to S(p.112,p.305),Keynes never received a doctorate in philosophy for writing the TP because the TP is not a doctoral dissertation.The TP was a thesis submitted for a fellowship, successfully, in 1909 at Cambridge.Keynes added a Part V to his thesis in the period from 1910-1914 to complete his TP.S commits another error when he chacterizes Keynesian economic policy as the manipulation of monetary policy.It is the manipulation of both fiscal and monetary policy.Finally,Keynes's probabilities are primarily intervals with a lower and an upper bound,not ordinal rankings as suggested by S.S's flawed appraisel involves a failure to translate Keynes's definition of the term "nonnumerical",which means"not by a single numeral but by two numerals".Finally,S is in too much of a hurry to take the side of Neyman,a deductivist, in his debates with Fisher,an inductivist,about significance levels(p-values) and confidence intervals.Neyman's justification for confidence intervals is badly flawed.It essentially boils down to an arbitrary "act of will" on the part of the researcher.Fisher,who was well acquanted with Keynes's logical theory of probability,realized that Neyman's "reasoning" was actually an evasion.Unfortunately,Fisher never was clear about his reservations .Fisher simply needed to come right out and say that a 95% confidence interval means that the researcher is 95% confident that the particular parameter,say the mean,lies in that interval.Of course,this conclusion follows from the proportional syllogism,which is part of the logical theory of probability.Neyman,who was a frequentist,ends up in a quagmire of his own creation because he did not want to allow any "inductive" concepts into his theory. It should come as no surprise to any reader that a 300 page collection of anecdotes might fall a bit short in realizing the implied goal in Salsburg's subtitle. He attempts to explain the paradigmatic shift in science from a Newtonian determinism to a probabilistic worldview by focusing on the statisticians themselves. The reader is often left with a desire for more - either more explanation of the paradigm shift or more anecdotes. Nonetheless, I found this volume entertaining. I was fascinated by the newness in this field. Certainly nothing in my education led me to believe that virtually every aspect of social science research and statistical analysis is a 20th century invention. Who would have thought that the essence of 21st century social science research would be so well-anchored in agricultural studies and, perhaps most importantly, in the quality control efforts by master brewers at Guinness? Salsburg intends to write to a non-statistical audience in language that can be understood without mathematic symbols. In this he is only partly successful. He does avoid technical symbols and most technical jargon, but in doing so he is often too vague to make his point clear. Even with three years of graduate statistics (from a social science perspective), I often found myself unsure of his explanations. In the final analysis, Salsburg's description of the "statistical revolution" in science is really more of a sketch than a portrait. The significances of a shift from certainty to probability cannot be easily explained, but I will give him credit for trying to do so. That he is able to deal with this shift without explicitly commenting on the implications of this shift for religion, values, meaning, and justice is perhaps one of this book's major strengths. Unfortunately, Salsburg concludes with a critique of the statistical revolution that may weaken the impact of his stories. Those desperately holding onto a Newtonian worldview could use this critique to discount 20th century science, especially social science. If, as Salsburg suggests, we are on the cusp of another paradigm shift, any post-statistical revolution is unlikely to be advanced by those continuing to resist the statistical one. are combinded with the history of certain statistical problems. This book showed me how huge the field of stastics is. In response to questions from colleagues and students i'm posting this review. This was the standard text many years ago. Many current topics on mathematical Quantization and Stochastic Optimization are conspicuously abscent. The publisher is working on a two Volume Paperback edition that will be available shortly, so save your money and buy this 2-vol set for one fifth the price. A hard but superb book. Current physics students had less mathematical trainings than those did several decades ago, when computer wasn't popular. So this book is probably too hard to read through and to work on its problems. But if you force yourself, you will begin to appreciate the beauty of mathematics. The chapter about Green's function is escpecially good, never had a so vivid lecture on Green's function before. Actually, when I read this book, I felt Green's function is the kernel and the main bone of this book. It appears almost in every chapter. 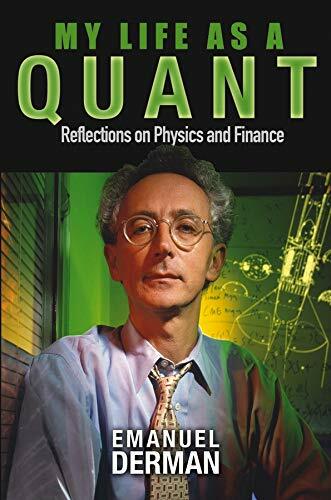 The price is pretty high, but if you choose physics as your career, it's worth to have this book, both for academic and entertaining purposes. This book is for physics students interested in the mathematics they use and for mathematics students interested in seeing how some of the ideas of their discipline find realization in an applied setting. The presentation tries to strike a balance between formalism and application, between abstract and concrete. The interconnections among the various topics are clarified both by the use of vector spaces as a central unifying theme, recurring throughout the book, and by putting ideas into their historical context. Enough of the essential formalism is included to make the presentation self-contained. The book is divided into eight parts: The first covers finite- dimensional vector spaces and the linear operators defined on them. The second is devoted to infinite-dimensional vector spaces, and includes discussions of the classical orthogonal polynomials and of Fourier series and transforms. The third part deals with complex analysis, including complex series and their convergence, the calculus of residues, multivalued functions, and analytic continuation. Part IV treats ordinary differential equations, concentrating on second-order equations and discussing both analytical and numerical methods of solution. The next part deals with operator theory, focusing on integral and Sturm--Liouville operators. Part VI is devoted to Green's functions, both for ordinary differential equations and in multidimensional spaces. Parts VII and VIII contain a thorough discussion of differential geometry and Lie groups and their applications, concluding with Noether's theorem on the relationship between symmetries and conservation laws. Intended for advanced undergraduates or beginning graduate students, this comprehensive guide should also prove useful as a refresher or reference for physicists and applied mathematicians. Over 300 worked-out examples and more than 800 problems provide valuable learning aids. 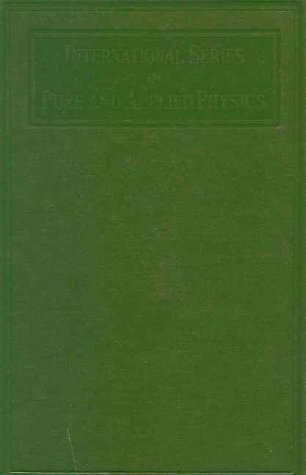 PURE APPLIED GEOPHYSICS "This volume should be a welcome addition to any collection. The book is well written and explanations are usually clear...The typesetting standard is one of the best I have ever seen...The book should already be accessible to advanced undergraduates. 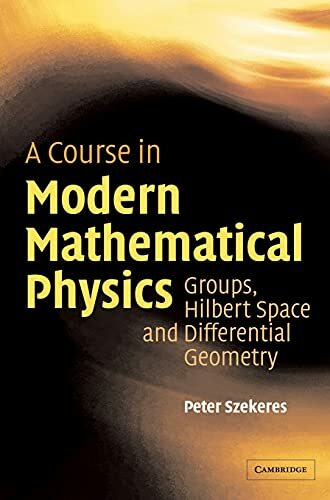 It can be used both as a textbook or as a reference book (to some extent)...As a supplementary textbook I believe this book should be sufficient for most physics courses...Among all the available book treating mathematical methods of physics this one certainly stands out and assuredly it would suit the needs of many physics readers." Has anyone looked at the difference between Hassani's and C. D. Cantrell's book (Modern Mathematical Methods for Physicists and Engineers)? They seem to cover the same topics. 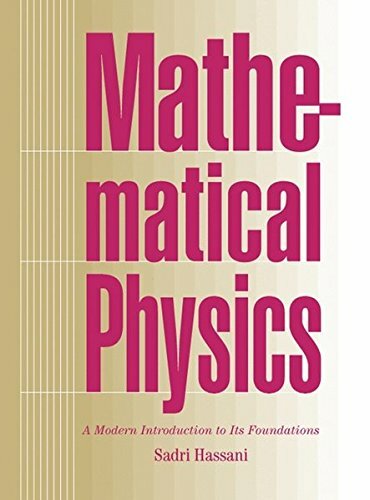 I agree with other reviewers that this book is the first choice if you want to get a handle on mathematical methods of theoretical physics at advanced undergraduate / beginning graduate level. The nearest competitor is Byron & Fuller's "Mathematics of Classical and Quantum Physics" which has been around a long time and has many good points; but having used both I prefer this. The level and philosophy is about the same but the coverage is wider and the presentation clearer and cleaner. It's a pleasure to read. The book is divided into eight parts, each comprising three or four chapters, on: Finite-dimensional Vector Spaces, Infinite-dimensional Vector Spaces, Complex Analysis, Differential Equations, Operators on Hilbert Spaces, Green's Functions, Groups and Manifolds, Lie Groups and Applications. Fear not: although it isn't designed for freshmen, it emphatically isn't the sort of math book where you have to crack the code to get any benefit. The layout is excellent, there are many, many worked examples, and I found very few slips or typos. One black mark, the reason I don't give it 5 stars: although there are a massive 850 problems, there are no solutions (just like Byron & Fuller). Unless you're confident in your mathematical ability, you may find that a drawback for self-study. Finally, a word to the wise: check out this title at amazon.co.uk (provided you aren't in a hurry). A must for a serious student of theoretical physics. I have never seen an excellent and well written math book like this. It includes all topics you can think about of mathematical physics in a clear and elegant presentation. A generous amount of solved examples are disscused through the book and a huge number of problems at the end of each chapter. It includes topics which you can not find in any similar graduate math-physics text. It really worth its price. This is by far the best written book on the subject that I've seen. It is very clear and comprehensible. Modern and up-to-date, it is destined to become the standard book in its field.